If you’ve previously applied for Mokulele, follow the instructions below to apply again through this page directly. Without you as a viewer, subscriber, and reader, I wouldn’t be here today living my dream as an airline pilot in Hawaii. I want to extend that same opportunity to you. I’ve partnered with the management and hiring staff of Mokulele Airlines to present my YouTube subscribers a unique 10 day hiring opportunity to thank you guys for being some of the best, most engaged viewers I’ve ever had. By participating in this limited time application process, you’ll find yourself at the top of the hiring stack. 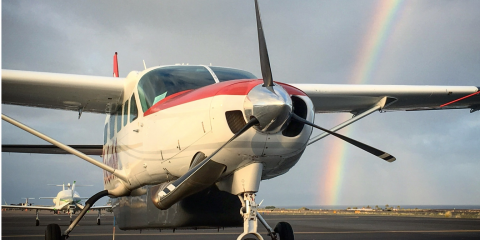 If you are looking to build flight time, you can expect to fly over 75 hours per month at Mokulele depending on your crew base. If you’ve already subscribed to my channel, your first step is done! Click Here if you haven’t already. If you’ve previously applied for Mokulele, follow the instructions below to apply again through this page directly. Our pilot recruitment department is guaranteeing the placement of at least 1 Captain and 1 First Officer (based on qualifications) from this 10 day period into the August or September 2017 training class. While not every qualified applicant can be selected in this limited time opportunity, every application will be saved in the standard hiring pool for future recruitment needs. Late applications will be sent to this standard hiring pool. 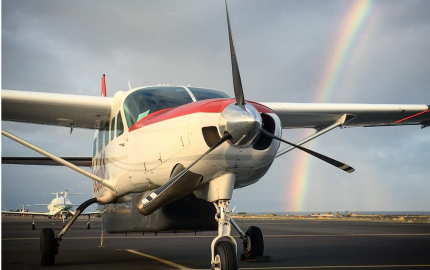 For a full list of Mokulele pilot benefits and job opportunities, Click Here. All applications will be reviewed by myself, the chief pilot, director of operations, and a panel of Mokulele Airlines leadership staff. As with all Mokulele applicants, this is not a finalized job offer, but rather an opportunity to participate in our training program. 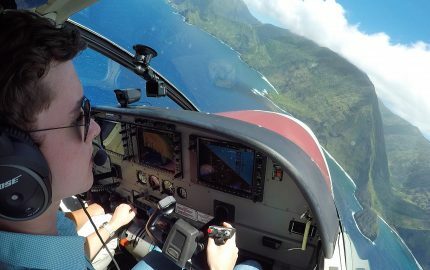 Upon successful completion of an initial simulator evaluation in Hawaii, ground school, simulator training, flight training, and a checkride, you’ll become a Mokulele pilot! Cover Letter: Describe in 300 words or less why you’d like to fly for Mokulele Airlines and how you will be the best fit for our company. Short Letter of Recommendation: From a chief pilot, flight instructor, crew member, professor, etc. (detailing your skills as a pilot or student). Recommender should include their contact information. All applicants are subject to the same background screening and may be contacted for further questions at any time. Please include your full name somewhere in the subject line. If you do not receive a confirmation of your application within 48 hours, use the “contact” tab above to get in touch. On July 20th, 2017, all applicants will be notified about selections. I’ve always wanted to do something to give back to the people that have supported me this far in my career, my viewers. While I don’t have the finances to fund some sort of scholarship yet, I hope this opportunity provides you with the chance to start thinking about ways you can live out your own dream. This is just the beginning, the first time I’ve ever organized a hiring project like this. Even bigger plans are in the making! I hope to see a few of you in ground school soon! If you have questions, comments, or concerns, feel free to email me through the “contact” tab above. I have my CFI but had about 500 hours without my CFI when I applied here. Haven’t done any dual instruction yet. Hey mate defiantly interested and willing though only issue would be that Im aussie and would need a visa. Ive got over 500hrs with 300hrs in command turbine. Not sure how that works to be honest! I know that we do have pilots here working on visas, but I’m not sure if we sponsored them. I doubt it, but am not sure. Look into the E3 visa, it’s a special visa class just for Aussies wanting to work in the us. All you need is a job offer from a us company then its very easy to apply for ge visa. First of all congrats on your new job. I’ve been watching all your videos and they are quite inspiring and amazing. I have CPL ASEL with 300TT. I think that’s quite low hours to get my first job as FO. I should have my Instrument rating by end of this month. I wish I could get it done by your deadline of 15th. Will be guys be hiring more FO’s in near future or this is the end of hiring for Mokulele? I would like you to mentour me. Once I have my IR I’ll still apply for Mokulele as I don’t mind relocating for the first job. Congratulations on getting close to finishing that IR! We will of course be hiring more FOs in the future outside of this program, so I would wait until you’re fully qualified to apply. I am assuming you will only be working at Mokulele during the summer time and then returning to school in the fall. Is there any way I can apply to do the same thing you are, starting next summer? I doubt it will be with the same hiring opportunity you are offering now, but I am just curious to find out if Mokulele will consider pilots who only want to fly for the summer. I am qualified now but I need to be able to finish some more classes before taking a job like this. You can always ask, but I’m not sure if that’s a typical situation for the airline or not! Let’s see 70 hours times Captains pay at 42.00 per hour is about 3000.00 per month. That should just about pay for the rent to live there ? … with a roommate. FO pay is only guaranteed at $1,470/mo. You would make more working full-time as a grocery store clerk. But then you’d be a grocery store clerk. 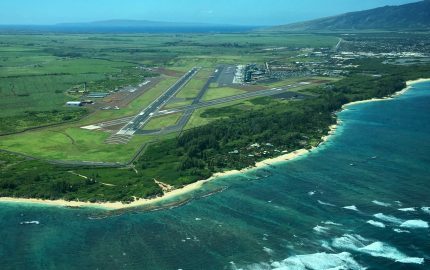 No doubt there are plenty of pilots with intentions on moving to a major who would rather live in Hawaii for a few years than fly over concrete, even if it means scraping by financially. And there’s likely a select few who are able to support themselves longer term by other means (spouse income, savings, etc) who just want to live and fly in paradise. Certainly no one should apply for Mokulele thinking they’re going to live like Hawaiian royalty. As Swayne wrote, “This Is A Lifestyle Opportunity”. Poverty in paradise may not be so bad. Would I need to have an FAA license? I currently have an TC CPL/MIFR, 250 TT, 80 G1000. Yep! You’ll need FAA licenses to work here. Great Job Swayne.I am a student pilot out of Canada presently working on my IFR. I am hoping to finish my training within next 2 months. Would look forward to applying soon. Thanks for keeping us all motivated. I have about 290 hours with my commercial SE, Multi and instrument. I also have my CFI and MeI. 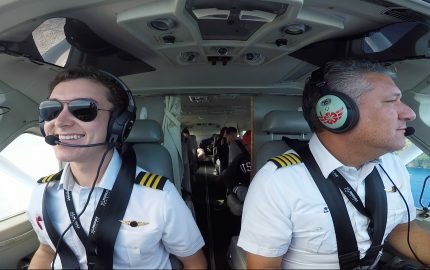 CFII checkride is this week. Hopefully it all works out and I can get hired as I have a friend recently hired and we want to share a apartment to make living more affordable. Thanks Swayne, my bid is in. Its the c-208 a multi crew ? 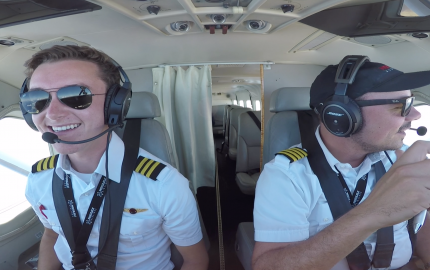 To flight like a First officer? Hey man! Hawaii is an amazing place! 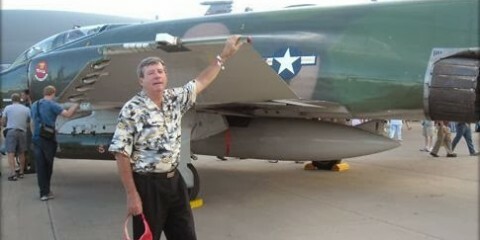 I visited Hickam AFB while I was in the Air Force. I have 500tt comm/multi/Inst and own my own Arrow and would love to fly for a living. Unfortunately, I have lost contact with my old CFIs. A letter of recommendation may be tough to get. Either way, love the videos man! As an instrument rated commercial pilot with 260TT.. would that meet the minimum requirements to submit an application for FO? I don’t plan on getting my CFI right now and I am currently viewing my options. One more question, whats the schedule like as an FO? I know guaranteed 70 hours a month, but are you guys flying 2 weeks on 2 weeks off or something a little bit different. Man I hate that I missed the window but I’ll definitely be looking at this page for future hiring!